The recent legalization of recreational marijuana use in Canada indicates a broader trend of a move towards legalization, opening up a brand new multi-billion dollar market. Currently, 22 states in the USA have legalized marijuana for medicinal use, with nine states and the District of Columbia having legalized marijuana for both recreational and medicinal use. Uruguay became the first country to fully legalize marijuana in 2013. Legal US cannabis sales are expected to grow from almost $10 billion in 2018, to nearly $23 billion in 2025. 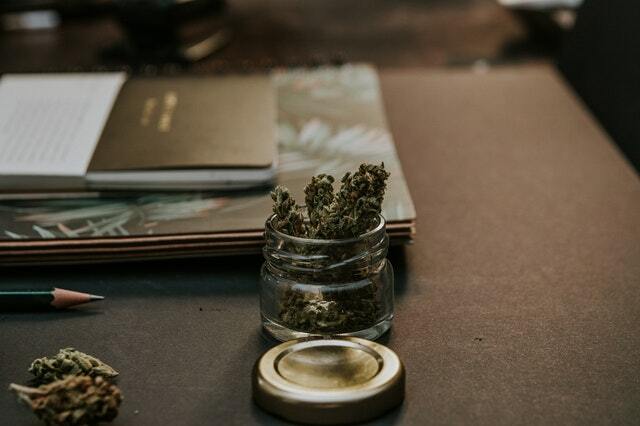 Looking at Intellectual Property (IP) data in the cannabis food and drink area can reveal signals about how this market, its players and their technologies are evolving. PatSnap, the world’s leading provider of research and development (R&D) analytics, has today launched its Innovation in Cannabis Report. Based on PatSnap’s global R&D dataset, the 20-page report has uncovered major trends relating to the state of innovation in cannabis compounds in edibles and beverages, finding amongst other things, that chemical, fragrance and flavoring companies are leading the way in patenting innovation using cannabis compounds. The report found that patenting activity for cannabis food and drink has seen a large increase in global activity in the last five years, with 242 simple patent families filed in 2015, up from only 144 simple patent families filed in 2012. Despite this increase in patenting activity, it is clear from this analysis that there is a relative lack of patenting activity in this area – the confidence of companies in the F&B industry may be lacking until full US federal legalization comes. In the mean-time, there will be some uncertainty over how patents could be protected in a US federal court. The 10 companies most actively patenting in this technology area includes (in order) BASF, Dupont, Firmenich, The Wrigley Company, Hercules Powder, Royal Dutch Shell, Arkena, Kuraray, Esso, and Givaudan. Not included in the list are any of the larger food and beverage (F&B) companies one might expect to appear: PepsiCo, Coca-Cola, Nestle, General Mills, Kelloggs etc. Instead, the list is populated by a mixture of chemical companies (BASF & Arkema) and fragrance and flavoring companies (Firmenich & Givaudan), meaning there could be potential for the major F&B companies to partner with these companies to enter this market. The report’s findings also point to two areas where the biggest opportunities for those filing cannabis patents lay. First, specific cannabinoid and terpene profiles and formulations, and secondly, industrial-scale fermentation approaches to production that can deliver specific, quality-assured cannabinoid profiles for use in food and beverages. This is a brief summary of findings from the full report published by PatSnap. Early protection of intellectual property rights is a critical component in any business’ efforts to secure a competitive advantage in the marketplace. To find out more, download PatSnap’s Cannabis Compounds in Edibles and Beverages Innovation Report, which analyses patent data to uncover trends, breakthroughs and key companies innovating in this space. Would you like to receive our popular weekly news alerts straight to your inbox? Solely patent focused and only sent once a week means you can guarantee there will be something you are interested in reading instead of clogging up your inbox with junk. Sign up now!